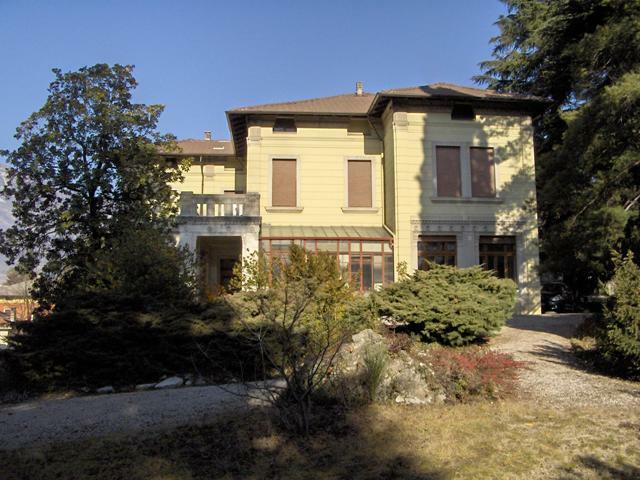 Villa Dordi offers to its guests 3 different sized bedrooms, each one with private bathroom and an independent entrance, overlooking a little private garden above Rovereto’s downtown. Furthermore each room is equipped with LAN plugging for an around the clock fast internet connection. The B&B is based within a beautiful villa, built in liberty style during 1908 by the great grandfather of the present landlord. Walking distance from the Villa there are Rovereto’s historical and shopping centre, but also the world known MART (Modern Art Museum). A covered garage is also available for guests who travel by private vehicles. Little guests are most welcomed! There is the possibility to ask for children beds. Breakfast is served from 8.30 a.m. until 10.00 a.m. at the villa’s dining room. The owner and B&B manager, Sergio Dordi, together with his partner Paola and their two children, Milo and Luna (7 and 6 yrs old) live today in the villa.